I look at my website stats a lot, but I typically just want a really brief snapshot to give me an idea of what’s happening right now on my website. I run both Jetpack’s WordPress.com Stats module and Google Analytics on this site, but I actually view the WordPress.com Stats many times more than Google Analytics, because they are right there in my dashboard. With the update to Yoast’s Google Analytics plugin, I can now get a similarly quick glance with either plugin. The new dashboards in Yoast’s plugin are nice, but definitely are what I’d consider a first iteration. 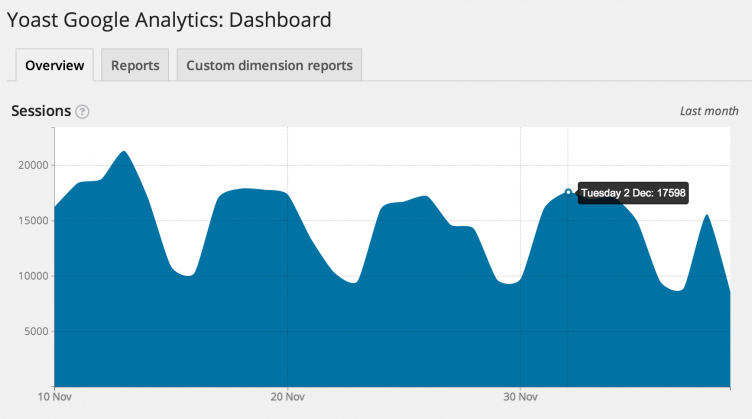 It’s not a replacement dashboard for WordPress.com’s stats, yet. For one, the dashboard is only pulling in stats once per day, so it’s not exactly a right now sort of thing. When I look at stats, it’s often to see how a recently published article is “trending” and I usually care most about the current day’s numbers. 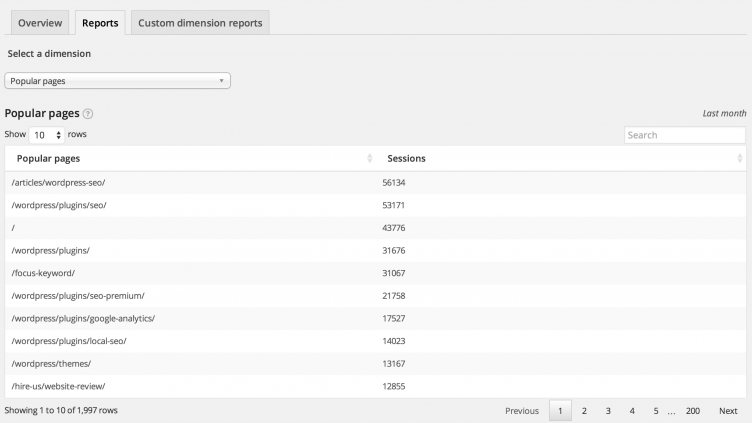 Additionally, the basic stats only show Sessions and Bounce Rate. I rely heavily on seeing referrals and clicks out of my site. But that’s what early versions of new features are about. And the Yoast team has definitely learned a lot while rolling out these new dashboards. I have had a notice on my site’s admin for a few weeks now, telling me that Google Analytics by Yoast can’t authenticate. I’ve re-authenticated a dozen times, but the notice has persisted. Thankfully, my stats were being tracked still, but I had no idea where that error was coming from. This morning, I finally decided it was time to investigate, and I learned that this problem persists across many sites where this plugin is installed. I also had a pending update for the plugin in my dashboard, and the update message claimed to fix the issue. For me and others, it seems to have done so; at least so that the notice only appears on the actual analytics pages and not site-wide (which was incredibly annoying). So, what went wrong? Well, I talked to Joost de Valk, Founder of Yoast, and he filled me in on the backstory. 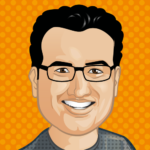 Google Analytics are fetched via a WordPress cron job, and Yoast tells me that the lack of reliability (a common sentiment amongst plugin developers) of WordPress cron jobs can cause the plugin to think it needs re-authentication. Though he tells me there were a few other issues involved as well. Now that the feature is a few weeks old, the plugin is only fetching data from Google once per day. That’s after they received a message from Google though. At first, they were grabbing the data live, and in a matter of hours they were far beyond the APIs limits. Joost said to me, “We learned a lot in that week.” They had a number of releases in quick succession attempting to squash the issues pinging Google’s API. This included an update to using the newer OAuth 2.0 instead of 1.0 — which they had successfully used until the update. I have no idea what it’s like to release code at a scale that Yoast is doing. They have increased their development team from one person (Joost) to five people in a pretty short amount of time; and that team is learning. That may not be a great excuse for causing issues with millions; but in my opinion it’s understandable, and it’s obvious to me their team is working hard to ship better products (which are basically all free for most people). I think as the team matures and lessons are learned, we’ll see better and better releases from Yoast — not that their current slate isn’t already the best on the market, proven by the fact that it seems everyone uses them. Automattic (with Jetpack) may be the only team in the WordPress ecosystem that knows what it’s like to create a plugin to scale like Yoast’s. And Automattic just surpassed 300 people. Yoast’s team, in total, is fifteen people. I’ve heard a decent amount of grumbling from the WordPress community about Yoast’s frequent — and sometimes seemingly flippant — update procedures. These grumbles may be warranted. At the same time, I think we can all extend a little grace in times like these. Scaling is hard, and many large or growing WordPress companies can attest to. I think Joost de Valk cares about his products and the role he plays in the WordPress ecosystem as much as just about anyone, and I’m pretty pleased with the direction they are taking their plugins. The updates to Google Analytics don’t seem like a whole lot right now — with a couple of new charts — but I think it has potential to be a great way to get a snapshot of site activity in the future. One thing is for sure: this plugin may have started as a simple way to embed Google Analytics code, but it’s evolving to be much more than that. Not everyone will care to keep using it as it evolves — and will opt for a simpler solution — but I think most users will welcome the changes and the new features. I certainly like the potential. We ran into bumps in the road with NextGEN Gallery 2.0, so I feel Joost’s pain over the authentication issue. The key is getting beyond it as fast as you can, with quality behind it. A lot of users, including myself, were having the GA issue. So It was nice to see a speedy fix on it. Also great to see Joost’s company grow! I switched to Simple Analytics. Yoast Plugin just isn’t the plugin for me right now. All I need is the tracking code, no more, no less. And I got tired of the bugs updates after updates but I can certainly understand that with huge plugins like this. It’s a great product and I might switch back some day. Nice to finally get an explanation from Yoast about what was going wrong with authentication. Sorry it wasn’t from Yoast to me as a customer. They seemed to be in denial at the time despite the wide range of comments on their blog. But it opened my eyes to long-standing issues that apparently exist with Yoast and premature plugin releases. Disappointing. I was a brand advocate until this point. I’m still using the SEO plugins but the analytics plugin doesn’t add enough value to put up with Yoast’s issues. Correct me if I’m wrong but isn’t the Google Analyticator plugin doing already what Yoast plugin trying to do? I switched from Google Analyticator to Yoast’s plugin, but am considering switching back because of the A/B testing features in their plugin. Last time I checked, Google Analyticator’s code quality wasn’t that good though.